Ok, so if you live in the South and you haven’t been to Earth Fare, you probably don’t know how good life can actually be. This is not a hyperbole. This is real life. 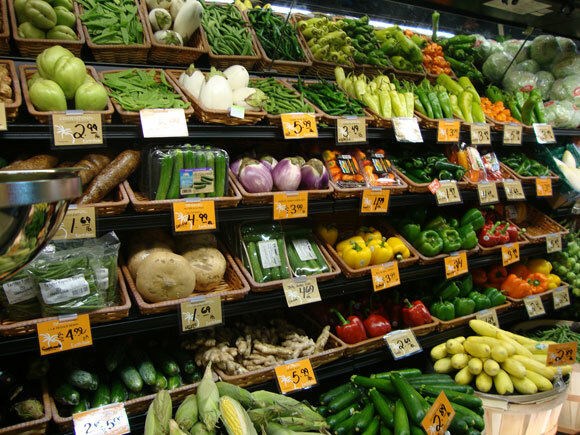 If you’re into organic, vegetarian, gluten-free,or maybe just actual food, but don’t have the kind of money rich people do to spend on groceries, Earth Fare is a godsend. No, it’s not a co-op, but that means that nobody smells poorly and there is much more variety. Also, Earth Fare is obsessed with customer satisfaction and coupons– think Publix Greenwise tenfold. To give you a concrete example, my last visit at Earth Fare I saved $11.50 in discounts (this is my couponing at it’s best), got $7.50 in Fare Deal Savings (things that are on sale at the store), and received free Earth Fare veggie burgers (this was for signing up for their mailing list…from which I receive NO SPAM). Something is always on sale. You can enter cute little contests on their website for a chance to win $50 or $100 gift cards. Earth Fare is also really into being involved with their customers. Their CEO has a blog called “You Don’t Know Jack.” So cute I just wanna die. Plus they have an Earth Fairy that they make criminally underwatched videos with. So creepy. I love it. In conclusion, love Earth Fare because rich people shouldn’t be the only ones who can eat actual food. Is that fare to say? New posts coming soon about actually exciting things… like New Orleans, SXSW, Nick Offerman and Edgar Wright, so ya’ll come back now! P.S.- No, Earth Fare did not pay me to write any of this stuff.